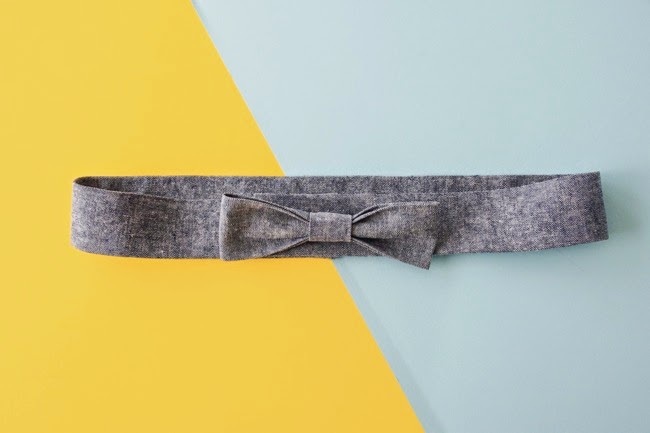 This bow belt will add a gorgeous finishing touch to your homemade dresses and skirts. 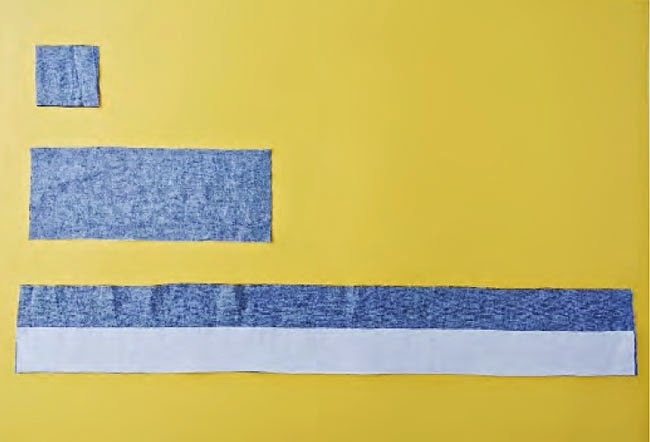 Make it in matching or contrast fabric - it's a great way to use up leftover material. 1. 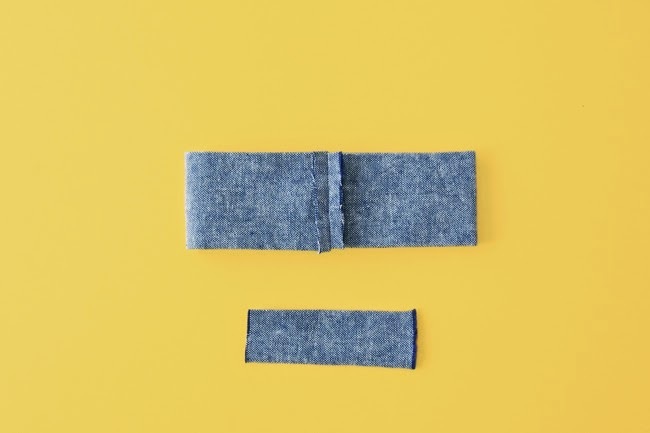 Cut one of each piece in your fabric, cutting your belt on the fold so it ends up double the length. 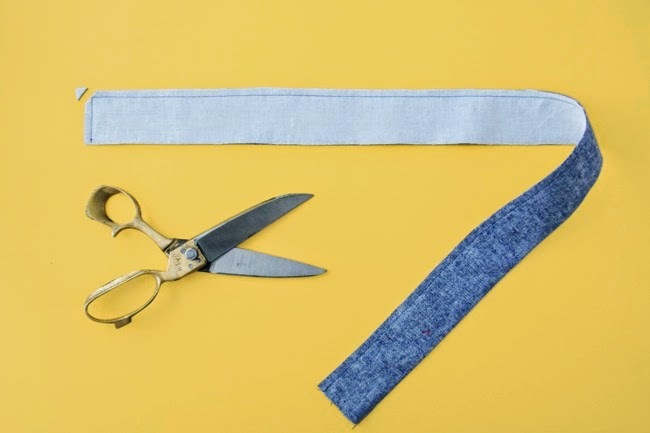 Cut iron-on interfacing to the length and half the width of the belt pattern, and apply it to the wrong side of the bottom half of the belt. 2. 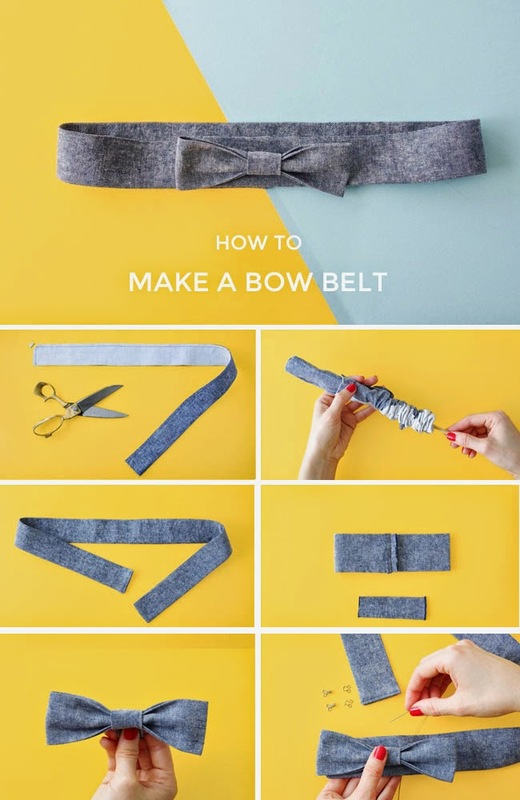 Fold the belt in half lengthways, right sides together, and press. Pin, then sew along the long side and one of the short sides, leaving one short side unsewn. Snip the corner, trim the seams and press them open. 3. Turn the belt right sides out so the interfacing is on the inside. I find a chopstick (or similar) helps here. Hold the smooth end of the chopstick against the stitched short end of the belt, then gradually smooth the wrong side of the belt over it. It'll bunch up more and more, and feel like a bit of a chore for a while, but eventually you'll see the end of the belt emerge out of the top of the tube. 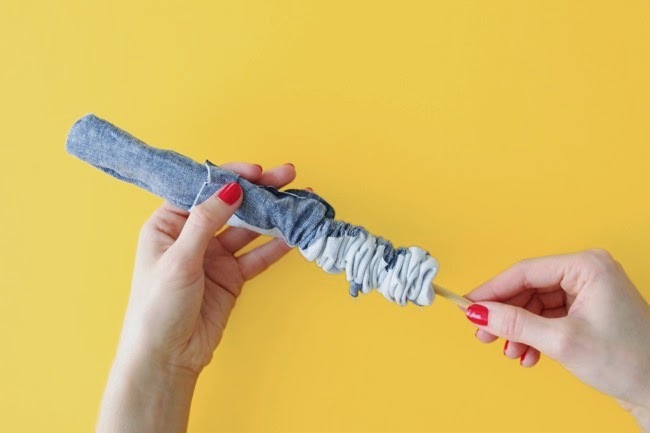 Grab this end, discard the stick, and gently pull it through (don't yank it too hard!) so the belt turns right side out. 4. Right now the belt looks a little like a deflated snake. Let's sharpen it up. First we need to make the corners look a bit more like corners - use a pin to gently coax out the point. Now give the belt a good press, rolling the seam line a tiny bit to the non-interfaced side of belt. 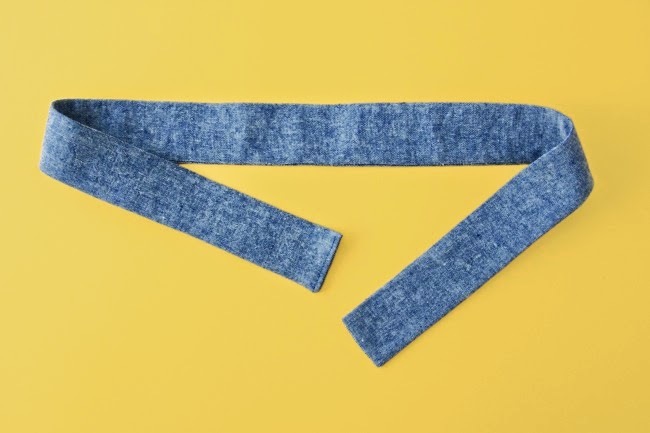 Fold the seam allowance of the unsewn edge inside the belt, and either topstitch or slip stitch the end closed. 5. 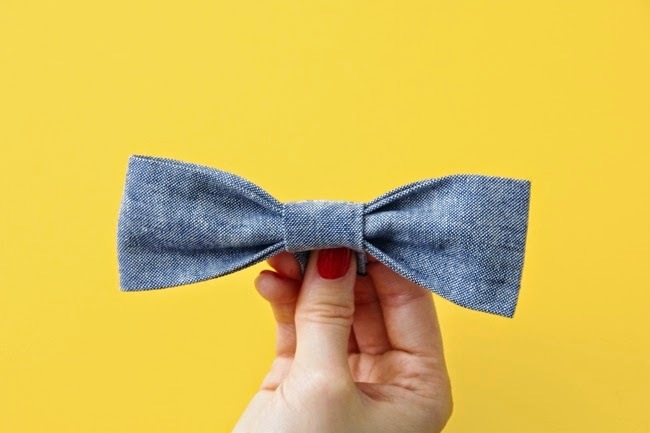 Fold the bow in half lengthways, right sides together, and sew along the long edge. Trim the seams and press them open. Turn the bow right sides out and press, with the seam line in the centre of the piece. 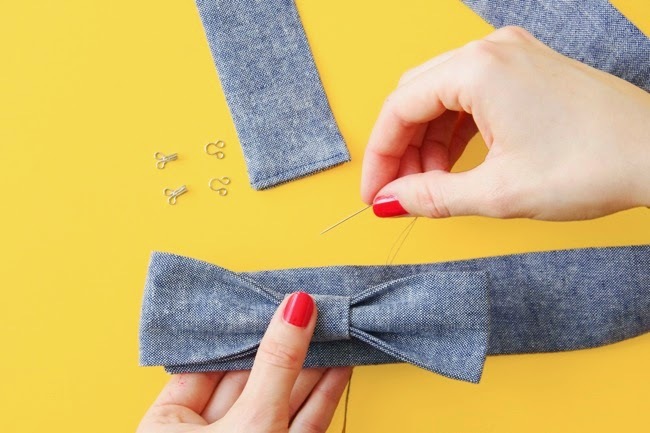 Place the short ends of the bow together and topstitch them together to form a loop (the ends won't be on show). Position these topstitched ends in the centre of the loop and press the bow flat. Make up the knot in the same way, but don't sew the ends together. 6. Pinch the centre of the bow into a concertina shape. Wrap the knot tightly around the bow and pin the ends of the knot together to hold the bow in place. Sew the ends of the knot together, either by machine or hand, trimming off any excess fabric if need be. 7. Hand sew the bow onto the front of the right-hand end of the belt, catching the bow and knot pieces with the stitches. Hand-sew two hooks onto the underside of the right-hand end of the belt. 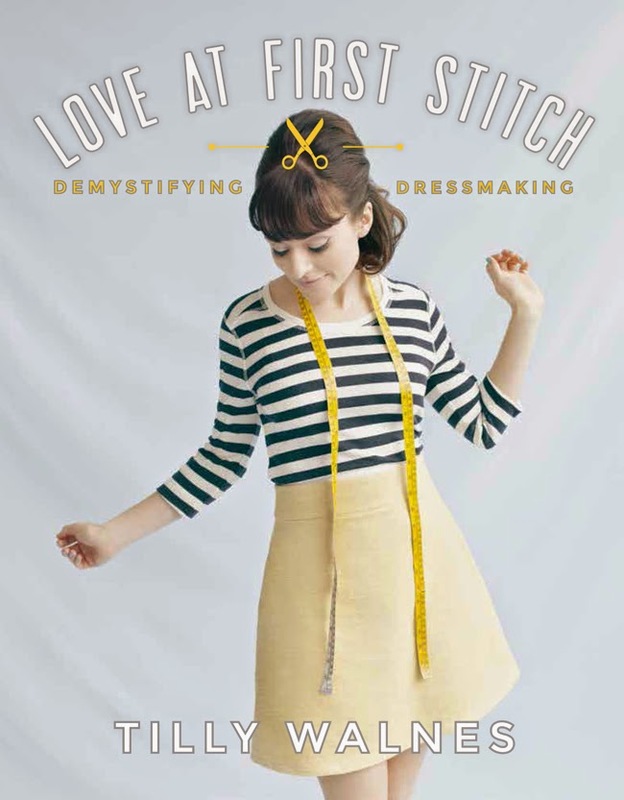 Try the belt on, mark the positions for the corresponding eyes on the front of the left-hand end, then hand sew them on.